Every now and again you come across something that you know you simply have to make. Sometimes it’s a recipe you see in a cookbook, sometimes it’s something you see on the television, and sometimes it’s something you see on other food blogs. On this occasion, it was Stephane’s passionfruit tofu cheesecake that caught my attention. Tofu? In cheesecake? Definitely interesting, as I’d never heard of it before. I still had some Total Greek yogurt at the time, so decided to try substituting the tofu for yogurt – and then prayed hard that it would work out. And thankfully, it did work. The yogurt provided a beautifully creamy texture to the cheesecake layer, and I could even tell myself it was “healthy” because I used fat free Greek yogurt and light cream cheese. Instead of making them into mini cakes, I decided to make them into tarts. What can I say? I’m a bit of a rebel when it comes to cooking – I can’t stick to instructions and am always adapting recipes to suit my mood on a particular day. Having said that, I’m not someone who believes that recipes are something that need to be followed to the letter – I agree that it’s important when it comes to things like pastry, but when it comes to day to day cooking I believe it’s more than acceptable to tweak the recipe to suit your liking. And because I only have a limited number of tart cases, I used ramekins for the remaining cheesecakes (or in this case, cheesecake pots). I quite like how these turned out – the only tricky bit was scraping up every last bit of the biscuit base which was wedged into the groove at the bottom of the ramekins. I’m a HUGE fan of biscuit bases – I believe that it is a very important component of cheesecakes, and if I must be honest I think it’s my favourite thing about cheesecakes. Strange? Perhaps. But before I get to the recipe, I have to announce the winner of the CSN Stores £50/$75 voucher giveaway! 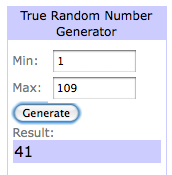 Thank you to all of you who participated, and after compiling all the entries – random.org has chosen entry #41 as the winner! 1. Preheat the oven to 180’C. Butter an 8 inch cake tin/ramekins/tart tins. If using a ring line the bottom with aluminum foil and place on a baking tray. 2. Put the digestive crumbs in a bowl, and add the sugar, ground ginger and salt to it. Mix well. 3. Add the melted butter to the crumb mixture, and mix until combined. Transfer the mixture to the prepared tin/ramekin and press it down in an even layer. Bake until golden (takes approx 10 minutes – this may differ according to the size of your tin) and let it cool completely. 5. Put the heavy cream in a small saucepan and heat until warm to the touch. Add the powdered gelatine to the warmed cream, and stir until dissolved. Remove from the heat and set aside. 6. Put the softened cream cheese, sugar, salt and vanilla seeds/vanilla bean paste in the bowl of a stand mixer, and beat until fluffy. 7. Fold cream, followed by passionfruit yogurt mixture into the cream cheese mixture until incorporated. 8. Pour the cheesecake mixture into the crust, and refrigerate until set. This will take at least 6 hours. 10. Add the powdered gelatin and stir until dissolved. Remove from the heat and let it cool. 11. 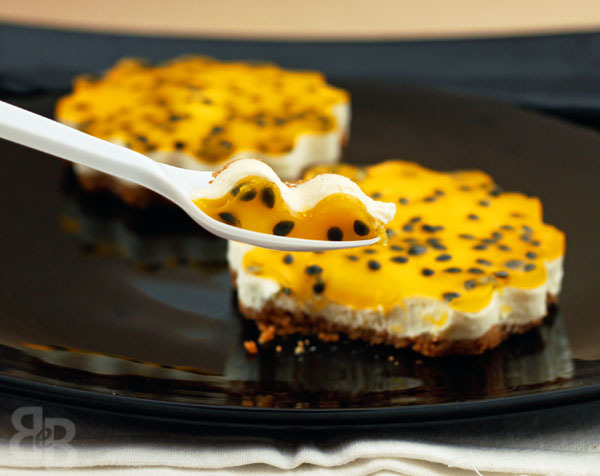 Meanwhile rinse some of the passion-fruit seeds and place on top of the set cheesecake. 12. Pour the passionfruit mixture on top, and refrigerate for at least one hour/until set. Wow! Looks gorgeous and yummy.Your innovative streak never fails to amaze me.Keep it up! What a lovely dessert, pretty spectacular actually! Thanks Nic, I was pretty pleased that they turned out so well! These are absolutely gorgeous!! Love the the different colors and textures. Thanks, Bria. I agree with you on the textures – that’s why I used all the passionfruit seeds, love the crunch that it provided. Rubbing my eyes in glee and amazement Su-yin, these are fabulous! Love the vibrant contrast and the beautiful colours! Love the molds too. Oh ya, Zen Can Cook, but dahlin’ girl, so can you! Well done indeed! Aww Deeba thanks so much for the lovely comment! Put a smile on my face. 🙂 Coming from you, it’s praise indeed. I actually have this bookmarked too! Looks so pretty! and…are those ramekins from GU’s souffle??? Congrats to the winner! 🙂 these cheesecakes were so yum, I can vouch for them. Thanks Suyin for letting me have one before Mennula. Gorgeous. 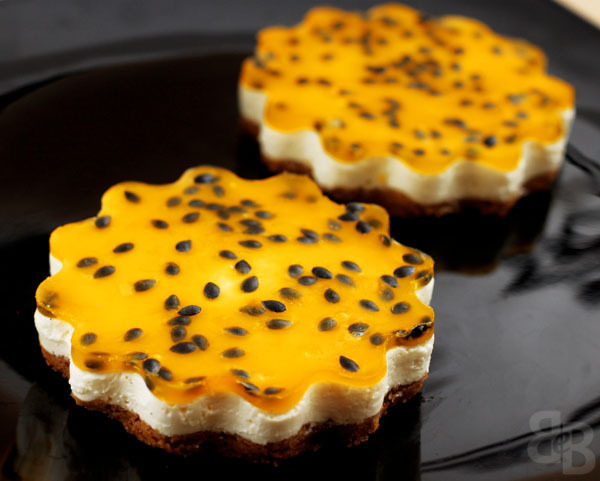 I bet passion fruit cheesecake tastes good. 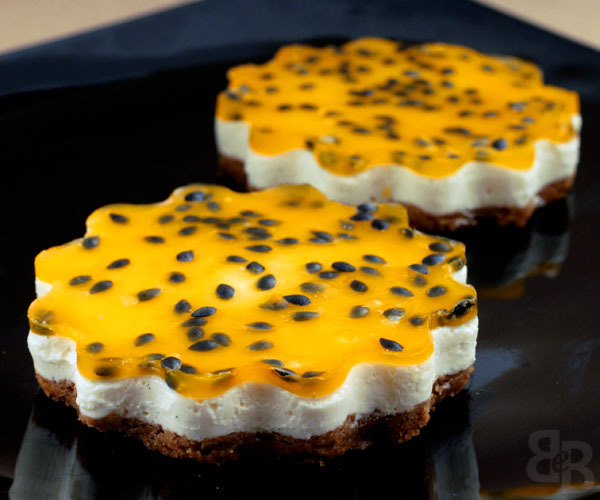 I haven’t made cheesecake for eons … and haven’t tried pairing the dessert with passion fruit. I love the tang and unique sweet tropical smell of the fruit! They are everywhere over here … now. Agree. When it comes to day-to-day cooking, I tend to be a rebel too. HAHA! I must admit that I only recently started using passionfruit in cooking/baking, and am loving it! Cheesecake is not something I bake too often, too fattening lol. 😛 This one was a bit better though coz it’s “healthy” (thanks to the yogurt!). Hehe. I love the idea of lightening a cheesecake with yogurt (I assume it was kind of lighter?)! Lovely! To be honest, it was still beautifully creamy and rich. So it didn’t taste lighter, but it was “lighter” in the sense that it was less fattening. I hope that makes sense! 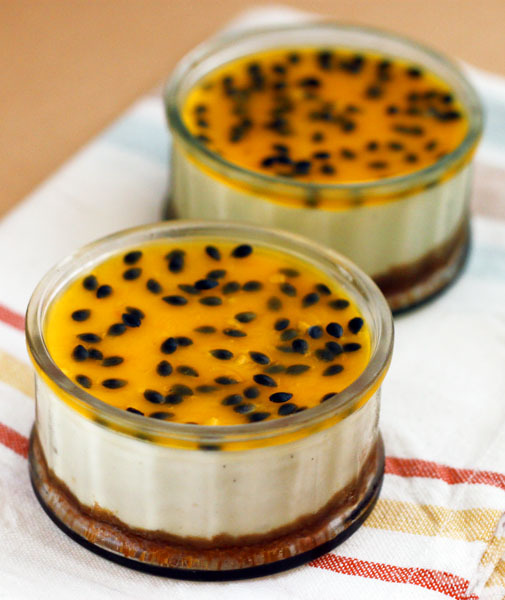 I love what you have done with this recipe and I just love passionfruit as well so am bookmarking this one for sure! Glad you like it! It turned out really well and I was quite pleased with how it was still really creamy despite using yogurt. These are stunning! I love that you are such a rebel in the kitchen. I’m so intrigued by cheesecake made from tofu. I have to make this now to see how it taste. Thanks, Naomi! I am intrigued by tofu cheesecake too – if you try it do let me know what it tastes like. Loved the beautiful desserts. And, they were as tasty as attractive. One question, where can I find the tart pans that you used? Also, did you butter the tart pans before pressing in the base? Any problem in taking the cakes out of the pans—-seems not! And no, I didn’t have any problems unmoulding the cheesecakes. I did oil the moulds lightly with a flavourless oil beforehand though, as I didn’t want it to get stuck to the many ridges of the tins! The lovely picture caught my eyes and brought me here. I found a treasure! Winner for sure! Next Next post: Byron: Hamburgers and A&W root beer floats!